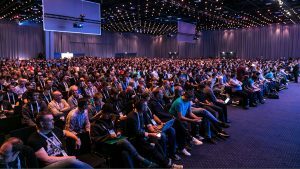 The Cloud Native Computing Foundation (CNCF) is holding its annual European conference in Copenhagen. Enterprise Times got the chance to sit down with Dan Kohn, Executive Director to talk about the significant growth in members and where the CNCF is going. Last year there were just 1,500 attendees in Berlin. This year there are 4,300 gathered in Copenhagen. Membership numbers are up as well from 68 to 216. One of the things that excites Kohn is the growth in end-user organisations. Importantly, these come from a wide spectrum of industries. Growth in the number of start-ups joining the CNCF is also increasing rapidly bringing new projects and ideas. Training and certification has had its part to play in the success of Kubernetes and the CNCF. 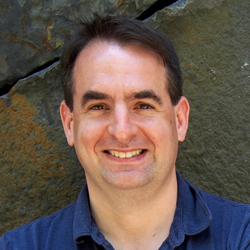 Kohn says that the response to the Certified Kubernetes programme, launched last year, has seen everyone sign up to it. That is important. One of the problems with many large open source projects is that as the number of distributions grows, so does drift between the different distros. Kohn is keen to impress that the CNCF recognises and is dealing with this. It is determined to make portability core to everything it does. It has a test and validation programme but, interestingly, it allows vendors to self certify. Customers are also able to take the test suite and check a distro. Kohn believes this is the difference between CNCF and other programmes. Failings can be reported back to the CNCF which will work with vendors to fix them. To hear what else Kohn had to say listen to the podcast.